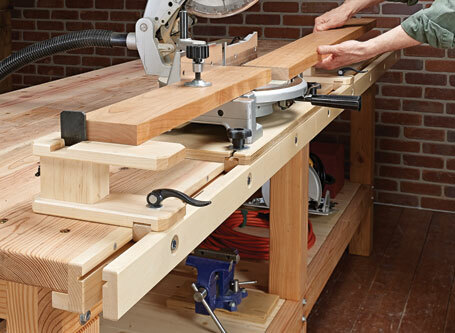 This underbench cabinet actually serves two purposes. 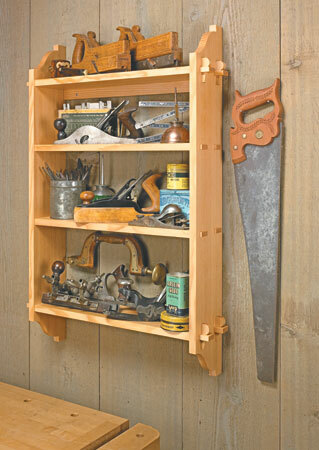 Of course it keeps tools within reach and easy to put away. The other benefit is sort of a windfall. 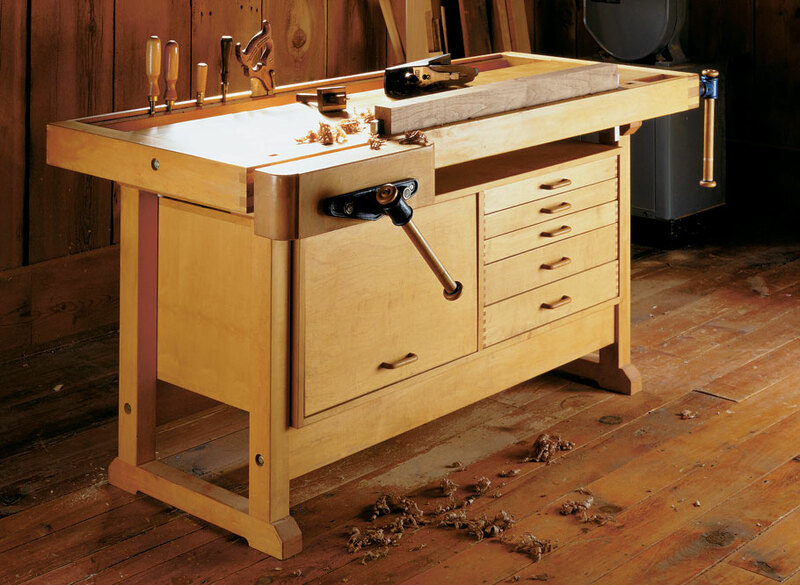 When the cabinet is filled with tools, it adds weight and stability to the bench. 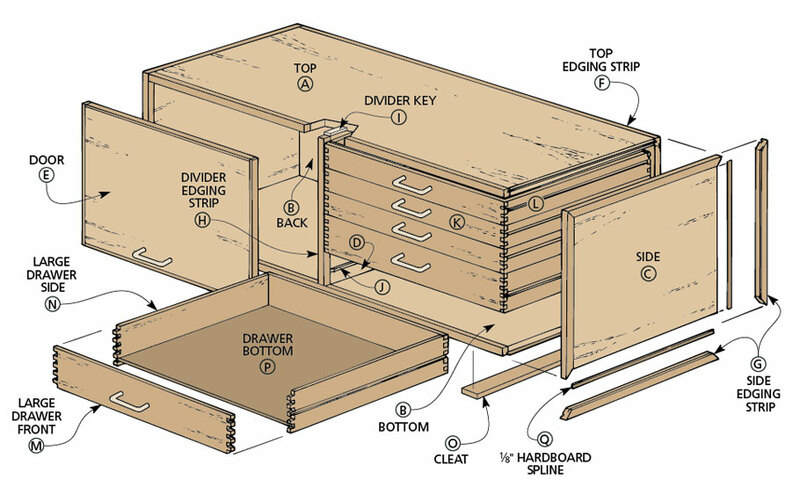 The cabinet is an open-front plywood box that’s divided into two compartments. 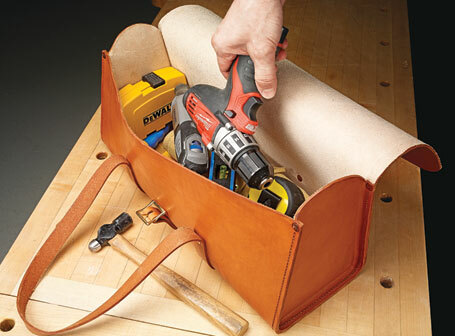 The left compartment is for storing bulky items like portable power tools. These are concealed behind a flip-up door. 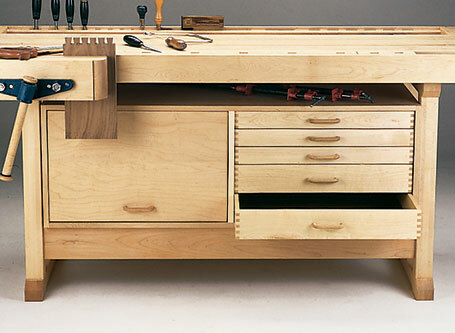 The right compartment has five drawers for hand tools or hardware.